The Young Explorers Program in Botswana blends fun with becoming Conservation Ambassadors. The guides and staff are each trained by Botswana Government approved trainers in a one-week children awareness program tailored to Great Plains Conservation’s conservation principles. Communicating conservation principles to children is critical of course they are our hope for the future of Africa’s wildlife and wilderness. 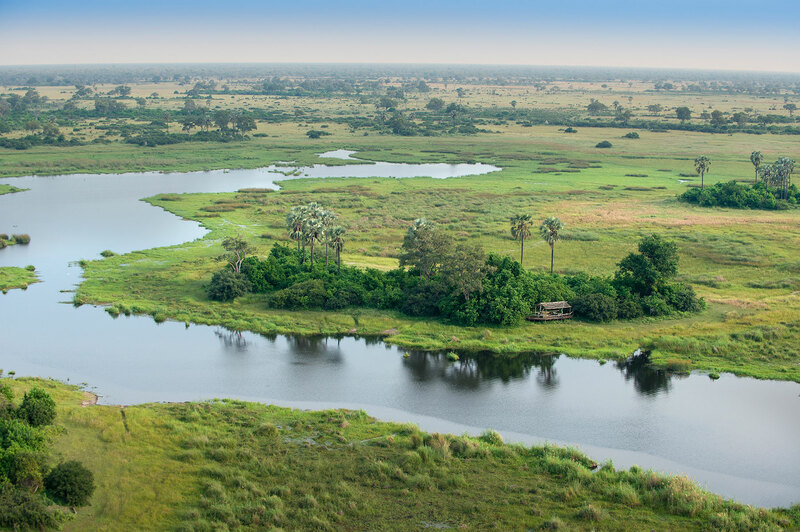 Botswana is an ideal family safari destination as the private concessions and low guest numbers allow us extreme flexibility to exploring by foot, canoe and vehicle, day and night. On arrival each child will receive a Great Plains Young Explorers pack full of all that is needed for them to become a Conservation Ambassador. The pack includes an activity book, traditional game boards, buff, torch and compass and a letter from a Motswana pen pal! The activity book is full of interesting information and games including animal tracks, seTswana vocabulary, facts on flora, fauna and stars, word games and a safari journal. On completion of the activity book children will be ready to complete the Conservation Ambassadors quiz in order to receive a certificate confirming their Conservation Ambassador status. Take a ‘’Walk on the WILD side’’: Learn some Bayei survival skills including animal tracking and even how to make traditional bangles and rings from grass. Plaster casting tracks: It’s easy to miss Africa when back home, so these plaster casts of favorite animal tracks are a perfect memento to share with friends. Tools & Fire: Craft a traditional bow and arrow, and cook a meal over a fire made from just sticks and dung. Conservation savvy: What is this word poaching, why is it so bad and how can it be stopped. Get glamorous: Just because we are in the bush, doesn’t mean we don’t have flair! Make jewelry from local beads and share it with new friends. Enjoy the ‘’Night life’’: Look up, look down, there’s lots to see by moonlight. Bring a flashlight and see what happens to a scorpion at night – surprise! Art all around: Nature is full of resources for loads of art projects. Bush Breakfast with the Birds: Test your bush cooking skills and make your folks breakfast over an open fire under the guidance of a bush chef! National Geographic Kids: Link with the Cause an Uproar campaign, interacting with kids around the world on conservation issues. Gone fishing: Hop in the boat or canoe and let’s cast the rod while learning how the Bayei people live off the land here. Binoculars: These handy devices take a bit of learning; our guides will share the tricks. This is merely an idea of the Young Explorers Program based on a 3-night stay. 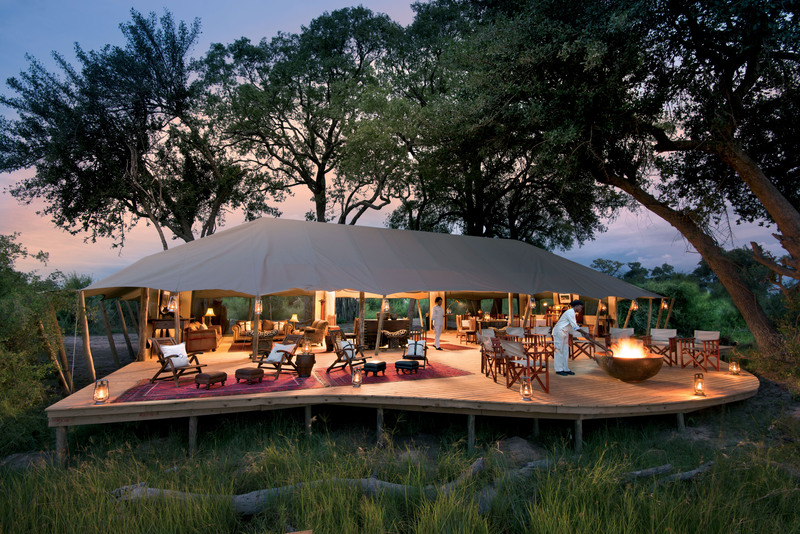 Some camps will offer more walking and canoeing while others will offer more game drives. There is always flexibility based on child’s age and interests. Arrive at camp, greeted by the Great Plains Young Explorers guides who will welcome the children and excite them for embarking on the Great Plains Young Explorers program. Each child will receive their Great Plains Young Explorers pack, filled with fun tasks and projects. Whilst the parents are settling into camp and unpacking the children can get acquainted with the guide over a game of Morabaraba, a great icebreaker for meeting the camp’s staff. The guide will also offer an educational walk around the camp, getting to know the trees, plants and birds and starting to look for animal and bird tracks and signs. Introductory game drive or walk with parents to discover tracks and signs of wildlife, starting to work on the species checklist, how to use binos, and share knowledge to answer the quiz questions. Make an animal footprint to take home from plaster of paris; this can be turned into a piece of art with a bit of colorful paint. Whilst the parents are having sundowners, burn off a bit of travel energy with a game of ele dung soccer! Begin to discover the southern skies, finding the Southern Cross. Don’t forget a torch; we will be looking for some night time creepy crawlies too. 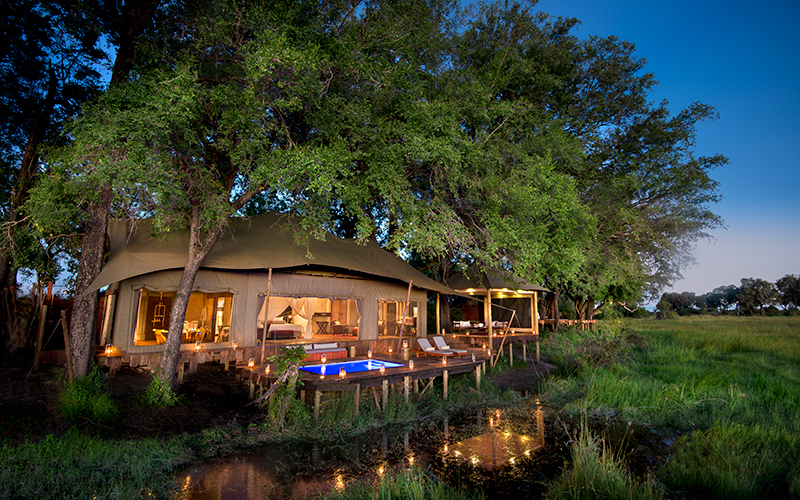 Hear some African bush legends around the fire with hot cocoa and marshmallows. Off into the bush first thing at daybreak, either by foot, boat or 4×4. Whilst out today, we start gathering items from the bush for a later art project. Make a poster with a conservation message using the items collected in the morning. Later, we will send the art to our new pen pals in the local villages. Begin the Survival Skills course, and learn from the guide how to make a fire from sticks and how to make a traditional bow and arrow and fish trap. Board canoe, motor boat or HES Zib (at Zarafa) for a lesson in Bayei fishing. The local people in this region were primarily subsistence fisherman, and now’s a chance to learn how to among the wildlife and incredible birds. Be gourmet and try some tasty Papyrus root. Or get fancy with a Water lily necklace. If it’s in season, then have a go at trying to catch a fish. It’s movie night. Watch one of the Joubert’s National Geographic documentaries in our bush theater, complete with popcorn. Watch and learn and see if you can find some more answers to your Big Cat Quiz. Set out on morning activity. While on drive, learn from the guide what vegetation edible and some traditional use methods. Test your newly acquired tracking skills and track “your” animal. Time to write a letter to a new pen pal and share stories from home and this safari, sharing conservation messages. Alternative activity is a tour of the back of house of camp, see how the camp actually runs behind the scenes, have a look at the bio-gas and solar systems – what other ‘green’ technology is possible? Game Drive Bingo – Test our bush-eyes against everyone’s in the vehicle, who can be the first to spot all the wildlife on the bingo card and shout it out!? Tonight (weather dependent) we will have a bush dinner. Learnt to cook over an open fire. Here, the guide will present each Young Explorer with his/her certificate for completing the Great Plains Young Explorers program and become a Conservation Ambassador.